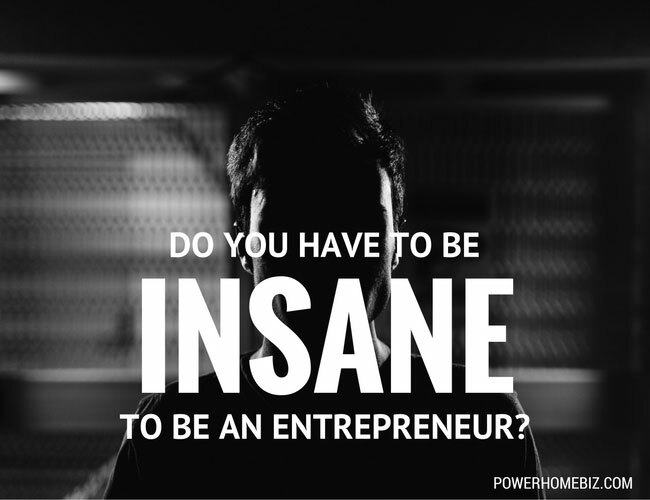 Do You Have to be Insane to be an Entrepreneur? 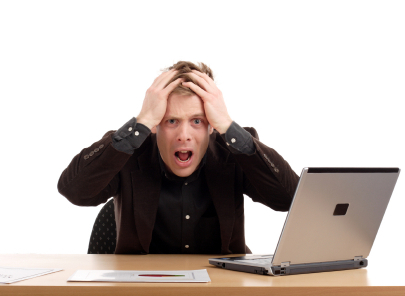 Home | Work at Home | Home Business Owner | Do You Have to be Insane to be an Entrepreneur? OK, insane may be a bit strong, but considering the things an entrepreneur must face as they are going down the path of becoming a business owner makes you wonder if it doesn’t help to be a bit crazy to even consider working for yourself. True, many people become entrepreneurs after they have been laid off or otherwise lost their job, but what about those that are gainfully employed? What are they thinking when they decide to strike out on their own? Don’t get me wrong. There is nothing more rewarding than being your own boss. However, with the good, you must take the bad. Make sure you have a sense of what working for yourself means before you jump in with both feet. Here is a rundown of what you will face as an entrepreneur. Assuming you are currently employed, working for someone else, you have a certain level of job security. Granted, your job is always at risk of being cut and this generally is totally out of your control. However, for most people working away in some office building, you have a fairly high degree of security and can rest easy knowing that the paychecks should keep coming in. Entrepreneurs don’t necessarily have it so easy, especially when first starting out. Considering that conventional wisdom says that most new businesses fail within the first five years, and the startup is the leanest time of all, you have to really be willing to live with stress when you decide to strike out on your own. For most entrepreneurs, there is nothing secure about working for yourself, until you have built up a solid business foundation that can stand on its own. When you choose to work for yourself, you oftentimes are faced with uncertainty and doubt. You are the boss. You make the decisions. You no longer depend on others to make the important decisions for you. You will make mistakes and you have to own your decisions as there is nobody else to take the fall for said mistakes. Running a business is a constant exercise in dealing with uncertainty and learning how to take command and make executive decisions. Employees have the advantage of not having to make choices that can alter the course of a business. But, when you are the business, these decisions rest solely on your shoulders. Life was so much easier when you were the employee, only having to deal with your responsibilities. As a business owner, you get to hire, fire and train employees. That is unless you are a one-person operation without the need to have others working for you. Employees can be one of the best parts of running your business and they can be one of the worst. There is something satisfying about knowing you are creating jobs that allow people to put food on their table and a roof over their heads. The not so fun parts of having employees include dealing with all sorts of different personalities, firing employees that are just not working out, and holding someone’s financial future in your hands. Say goodbye to the 9 to 5 work hours you were used to when you worked for the man. Say hello to extremely long hours, working deep into the night to make sure your business is a success. If you like to work non-stop, then being an entrepreneur might be right for you. If you enjoy coming home at night and spending time with your family, or you enjoy going to the lake for the weekend, then entrepreneurship may not be your best choice. >> RELATED: Does Owning a Business Mean Longer Working Hours? Business owners work a lot more than the average employee. Until you have built up a business that can operate without you, your business is your life. Time off will be scarce and you can forget about taking a vacation to the Bahamas. All of your time should be dedicated to building your business if you want it to stand a chance at being successful. As a small business owner, you can never really get away from your business. Even when you come home at night, thoughts of your business will be invading your mind. 7 days a week, 365 days a year, you will be attached to your business. Even if you have capable employees, you will always have the final say on important business decisions. You will also be the one they turn to when things go wrong. Embrace your business with open arms because it will be an extension of yourself – one you will never be able to completely get away from. If you are OK with all of the downsides of operating a business, then you will be able to enjoy all of the upsides. A small business that is a leader in its niche can be very rewarding, and extremely profitable. Just don’t assume that if you are a good employee, you will be a good business owner. The two are not necessarily cut from the same cloth. Yes, you may need to be a bit crazy to be an entrepreneur. Even if you were sane before becoming an entrepreneur, everything you face will make you go a bit off the deep end. Marshall Davis enjoys working for himself immensely and never did make a very good employee. He runs Business Service Reviews, where you can learn about products and \\”business services\\” to help you run your business more efficiently.